In what is the greatest statistical upset in NBA history, the Los Angeles Lakers somehow beat the Golden State Warriors 112-95 this afternoon. 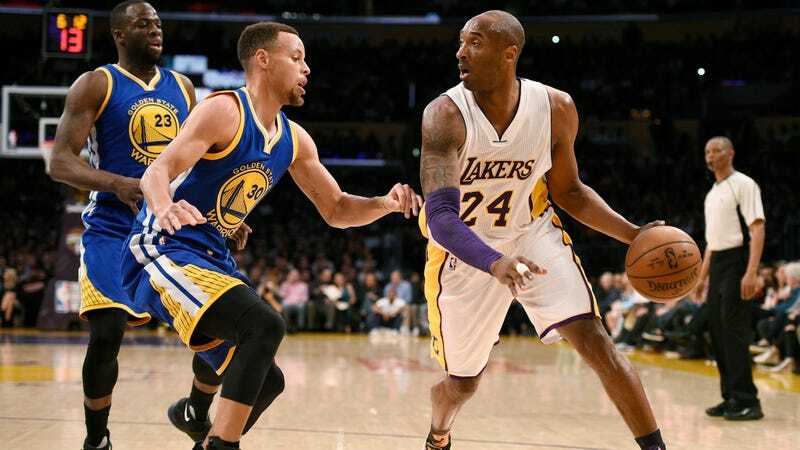 Before the game, the Lakers had a .190 winning percentage and the Warriors were sitting pretty at .917. That’s the largest gap between winning percentages an NBA team has ever bridged. Golden State played as poorly as they have all year. Their hyperkinetic passing and shooting was disjointed and sluggish all day, and they missed an embarrassing amount of layups. They looked a lot like teams who have to play Sunday morning games in New York City. Steph Curry and Klay Thompson went a combined 1-for-18 from three point range, and the team only shot 4-for-30. Golden State hit just eight shots outside of the paint. The Warriors’ starting guards were their only players to get into double figures, but neither passed 35 percent shooting. Steve Kerr pulled his starters with about five minutes left after they couldn’t mount any kind of comeback. Across the aisle, Los Angeles was on fire from the start. Nobody had a particularly notable game, but their effort was solid across the board. Seven guys were in double figures, and Kobe Bryant even showed up to chip in 12 points and play some tough-looking defense on Steph for a possession here and there. Hell, Marcelo Huertas was even out there throwing alley-oops. The Warriors have to go at least 18-3 over their last 21 games to get to 73-9 and pass the Chicago Bulls for the best record of all time. However, they still are at a better point than the Bulls were when they lost their sixth game.